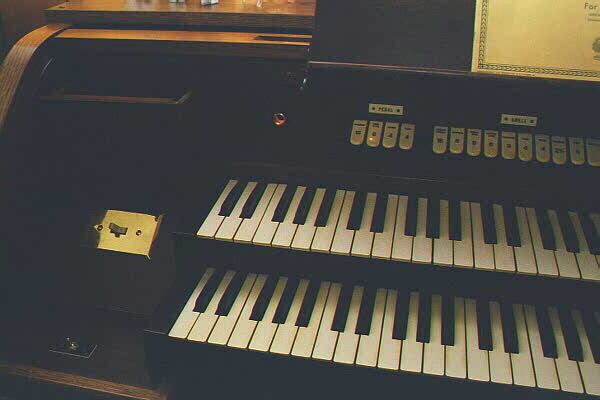 Wicks Opus 1585 began its life in 1936, purchased by the Episcopal Church of the Epiphany in St.Louis, Missouri. 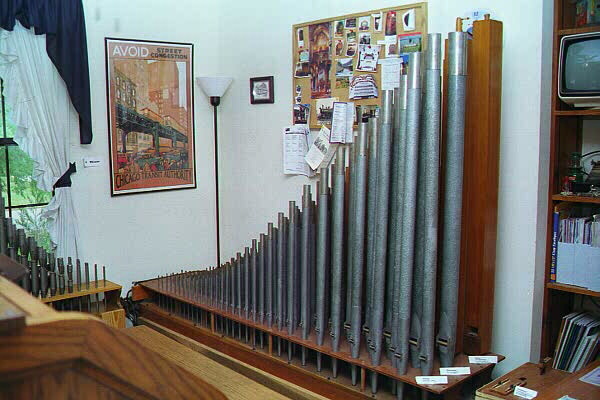 This organ is a Fuga Deluxe Model, slightly customized, and having a real 16' Bourdon instead of the common reed bass extension for the 16' flute. 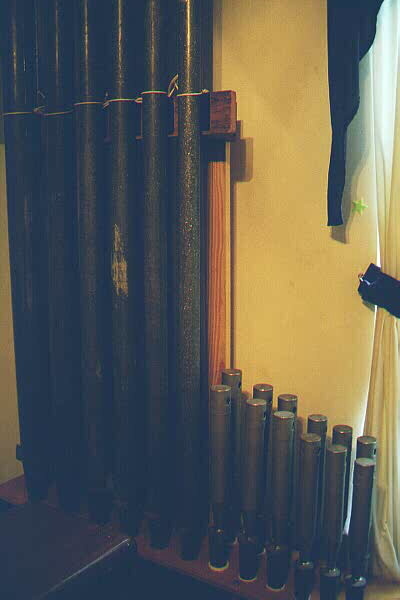 This organ was originally purchased for residential use, as the church was meeting in a house. The church moved to a larger building in the 1950's, and another in the 1970's. During that time, both the case and the 16' Bourdon disappeared. The 16' stop was rewired to operate as a 5 1/3' Quint. 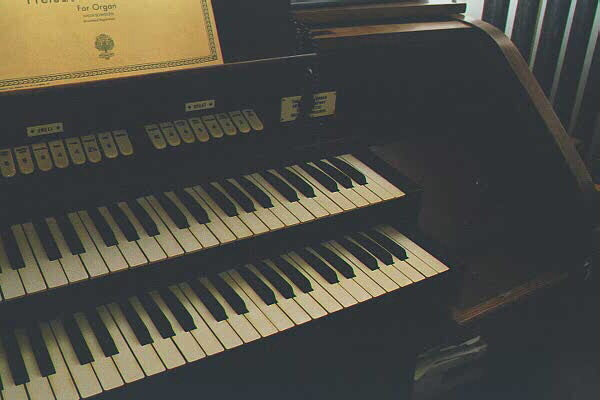 The church decided to place the organ for sale through the Organ Clearing House, due to the adoption of a contemporary worship style that no longer used the instrument. 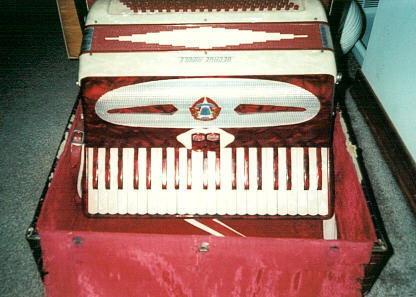 I was 15 years old when I discovered the instrument in late 1997 and purchased it in May of 1998 for a very reasonable price. 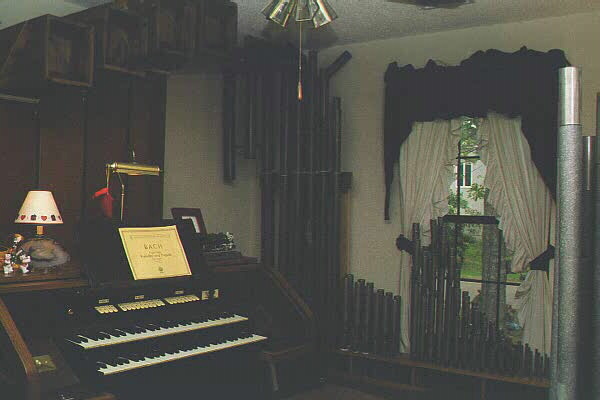 The week after school ended for the summer and our visiting exchange student moved out, I began my frenzy of preparing the house and my pocketbook for the organ removal and installation. 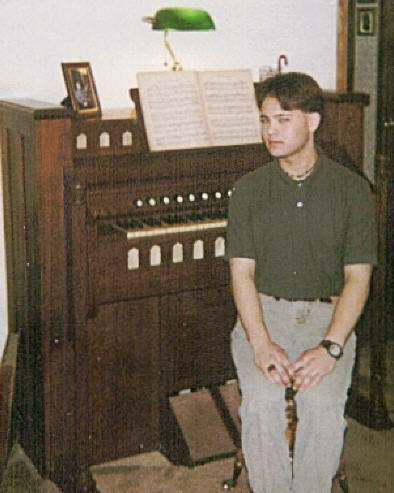 I then flew to St. Louis, rented a 15' Ryder van, loaded the organ (in 4 hours), drove to Highland, IL, to tour the Wicks factory, and continued home to Greenville, Alabama. I was away from home a total of only 24 hours. 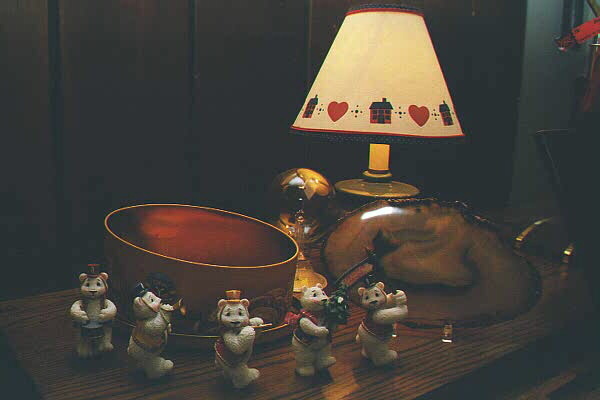 The following day, the pipework and winding was installed and assembled, then the next day saw the wiring of the chest to the console, and all electrical matters were resolved. It played perfectly, no trouble; no ciphers, no dead notes, no problems at all. Now all that was left was tuning the thing and fixing the terrible robbery of the 16' Bourdon. Tuning, of course, came first. 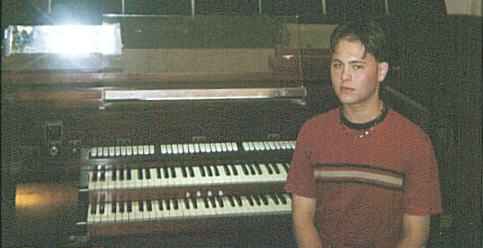 A few weeks later, I located a large scale 16' Bourdon that was perfect for this organ. 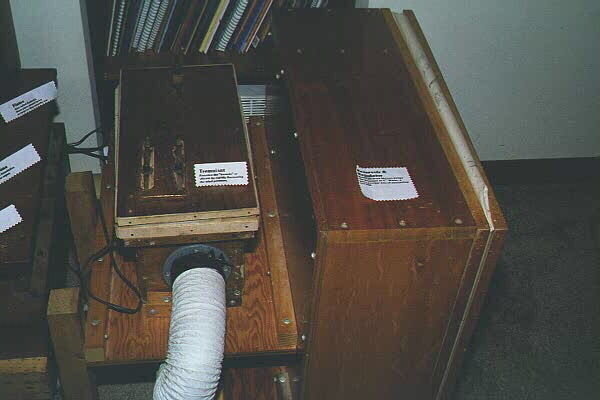 Not only was it the correct wind pressure but it came with a 12-note chest. As luck would have it it was also previously mitered 1" below my total ceiling height. 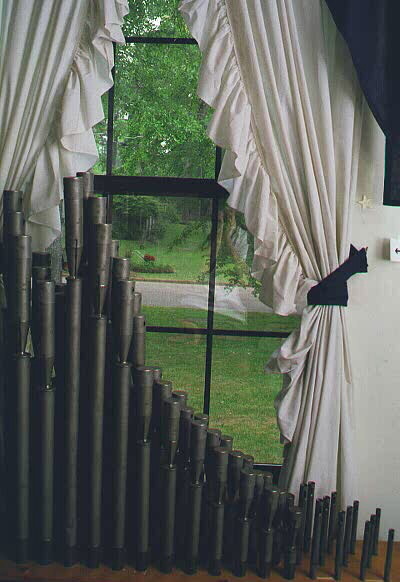 I was practicing and having fun, showing off for the neighbors and guests, and "delighting" my parents by shaking the walls and floors late into the night. The expansion bug quickly bit me. "I need a reed," I thought. So, I got one. I bought one of my favorite reed ranks; a Pilcher Vox Humana. 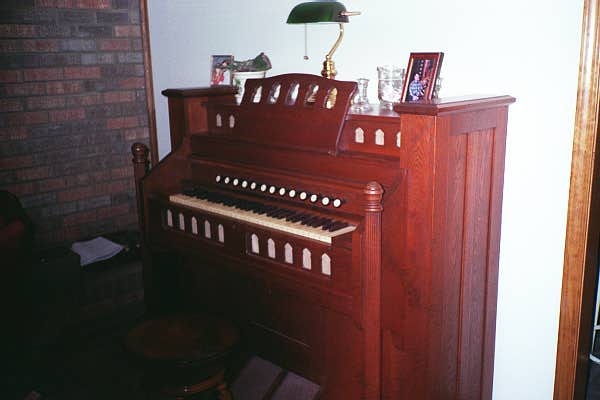 Along with the Vox, I bought a 73-note Organ Supply chest to put it on. I used notes 12-73 for the 8' Vox and notes 1-12 for an 8' string extension, which will operate on notes 1-12 on both 8' String and Diapason stops. It is now installed with the original 3 ranks, giving me 4 ranks of city noise-ordinance fun, and a celeste is on its way and will be completed and operating before Christmas. Console preservation is my main concern when adding to the instrument, as well as the capability of my poor little blower. So, after the celeste, it will be over; no more additions. 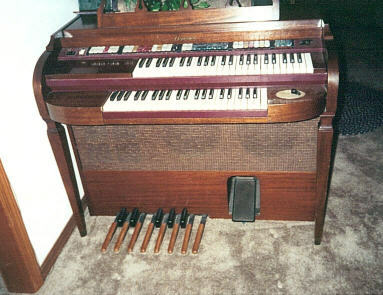 I feel I have improved the instrument enough; any more will be overkill. 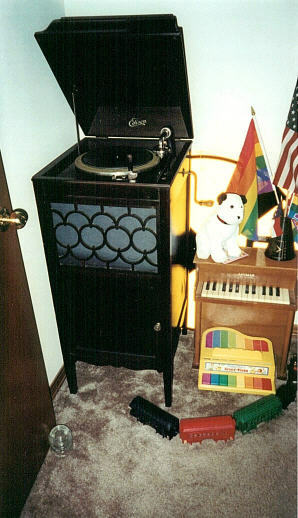 To add any more, I would have to change consoles and blowers and regulators, etc, and Wicks 1585 would no longer exist. 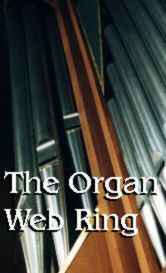 I am proud of my first organ, as well as surprised I pulled it off. detached console; no case or swellbox. Bourdon offset 6.5' wide, 1' deep, 7'11"